Last week we announced the new .dev top-level domain (TLD) was open for Early Access registrations. As of today, .dev is available to anyone through your registrar of choice (typically $12-$15 for standard priced domains, varies by registrar). Learn how to build a better web at web.dev. Start your open source journey with the right license. Did you know that without the right license, software isn't really open source? Opensource.dev explains why. Learn how to build beautiful native apps on iOS and Android from a single codebase. Visit flutter.dev to learn more. Join the TensorFlow community at tfhub.dev. Analyze and tune your software with performance tracing for Android, Linux, and Chrome. Check out perfetto.dev. Get your hands on Puppeteer, a Node library that provides a high-level API to control Chrome or Chromium over the DevTools Protocol. Get it at pptr.dev. But we're not done yet! We've got big plans for .dev, and we'd like to invite you to join us. To start, everyone who applied for a ticket to Google I/O 2019 will get a .dev domain at no cost for one year. If you entered the drawing, check your inbox for your redemption code. We'll be moving more of our existing projects and launching some exciting things on .dev in the months to come. We can't wait to see what you build on .dev -- share what you create with #hellodotdev. Last November, Raymond Chan, a data scientist at Chope, attended one of our first ML bootcamps for developers and start-ups in Southeast Asia. Over four days, he gained a deeper understanding of how to use Google Cloud Platform to better structure data from approximately 775,000 records on Chope's real-time restaurant reservation booking platform every day. With this new knowledge, Chope has been able to use that data for more effective and timely decision-making, making it easier for customers to book restaurants. Last week in Singapore, we opened the Developer Space @ Google Singapore—a space that brings together resources to help Southeast Asian developers, entrepreneurs and community groups grow, plus earn more with their businesses. This is the first physical space dedicated to developers that sits inside a Google office, so developers in Singapore can look forward to benefiting from insights, hands-on mentorship and networking opportunities with various teams working at our Asia Pacific headquarters. Supporting startups and developers like Raymond, and helping them achieve their full potential is something we're passionate about. In addition to the ML bootcamps which we expect another 800 developers in Singapore to attend by the end of this year, we will run a range of workshops on the latest Google tools and technologies, as well as programs like LeadersLab and Indie Games Accelerator that fuel ecosystem growth. We will also support activities run by community groups like Google Developer Groups, Google Business Groups and Women Techmakers. With developers and startups from Southeast Asia rapidly driving growth across the region, we can't think of a better place to open this new hub. Come join us throughout the year for an exciting roster of events and meet people who, like Raymond, are looking to build and scale great products. Check out our schedule of events here. The Flutter team is coming to you live this week from Mobile World Congress in Barcelona, the largest annual gathering of the mobile technology industry. One year ago, we announced the first beta of Flutter at this same event, and since then Flutter has grown faster than we could have imagined. So it seems fitting that we celebrate this anniversary occasion with our first stable update release for Flutter. Improved stability, performance and quality of the core framework. Work to polish visual finish and functionality of existing widgets. New web-based tooling for developers building Flutter applications. Having shipped Flutter 1.0, we focused a good deal of energy in the last couple of months on improving our testing and code infrastructure, clearing a backlog of pull requests, and improving performance and quality of the overall framework. We have a comprehensive list of these requests in the Flutter wiki for those who are interested in the specifics. This work also included broader support for new UI languages such as Swahili. We continue to make improvements to both the Material and Cupertino widget sets, to support more flexible usage of Material and continue to strive towards pixel-perfect fidelity on iOS. The latter work includes support for floating cursor text editing, as well as showing continued attention to minor details (for example, we updated the way the text editing cursor paints on iOS for a faithful representation of the animation and painting order). We added support for a broader set of animation easing functions, inspired by the work of Robert Penner. And we added support for new keyboard events and mouse hover support, in preparation for deeper support for desktop-class operating systems. The plug-in team has also been busy in Flutter 1.2, with work well underway to support in-app purchases, as well as many bug fixes for video player, webview, and maps. And thanks to a pull request contributed by a developer from Intuit, we now have support for Android App Bundles, a new packaging format that helps in reducing app size and enables new features like dynamic delivery for Android apps. Lastly, Flutter 1.2 includes the Dart 2.2 SDK, an update that brings significant performance improvements to compiled code along with new language support for initializing sets. For more information on this work, you can read the Dart 2.2 announcement. Mobile developers come from a variety of backgrounds and often prefer different programming tools and editors. 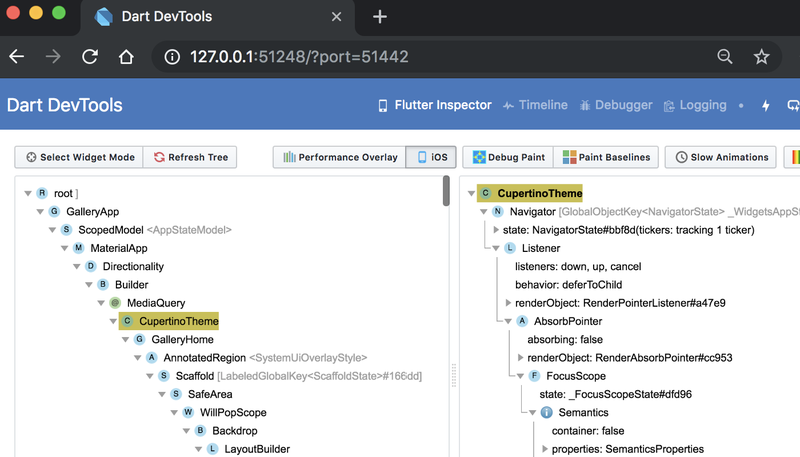 Flutter itself supports different tools, including first-class support for Android Studio and Visual Studio Code as well as support for building apps from the command line, so we knew we needed flexibility in how we expose debugging and runtime inspection tools. A widget inspector, which enables visualization and exploration of the tree hierarchy that Flutter uses for rendering. A timeline view that helps you diagnose your application at a frame-by-frame level, identifying rendering and computational work that may cause animation 'jank' in your apps. A full source-level debugger that lets you step through code, set breakpoints and investigate the call stack. A logging view that shows activity you log from your application as well as network, framework and garbage collection events. We plan to invest further in this new web-based tooling for both Flutter and Dart developers and, as integration for web-based experiences improves, we plan to build these services directly into tools like Visual Studio Code. In addition to the engineering work, we took some time after Flutter 1.0 to document our 2019 roadmap, and you'll see that we've got plenty of work ahead of us. A big focus for 2019 is growing Flutter beyond mobile platforms. 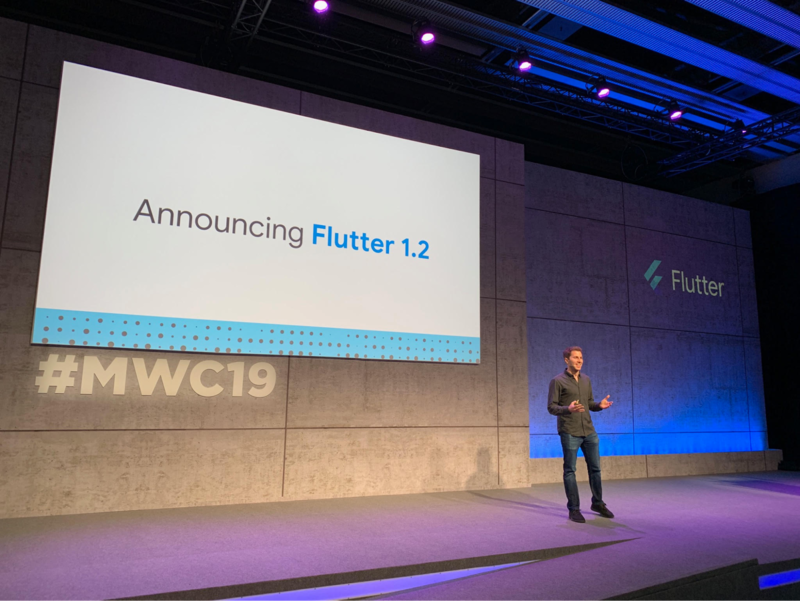 At Flutter Live, we announced a project codenamed "Hummingbird", which brings Flutter to the web, and we plan to share a technical preview in the coming months. In addition, we continue to work on bringing Flutter to desktop-class devices; this requires work both at the framework level as described above, as well as the ability to package and deploy applications for operating systems like Windows and Mac, in which we're investing through our Flutter Desktop Embedding project. Flutter Create: what can you do with 5K of Dart? 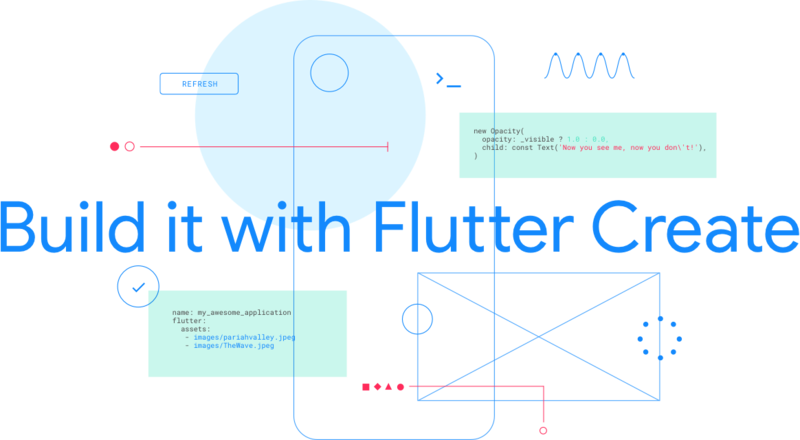 This week, we're also excited to launch Flutter Create, a contest that challenges you to build something interesting, inspiring, and beautiful with Flutter using five kilobytes or less of Dart code. 5K isn't a lot -- for a typical MP3 file, it's about a third of a second of music -- but we're betting you can amaze us with what you can achieve in Flutter with such a small amount of code. The contest runs until April 7th, so you've got a few weeks to build something cool. We have some great prizes, including a fully-loaded iMac Pro developer workstation with a 14-core processor and 128GB of memory that is worth over $10,000! We'll be announcing the winners at Google I/O, where we'll have a number of Flutter talks, codelabs and activities. Flutter is now one of the top 20 software repos on Github, and the worldwide community grows with every passing month. 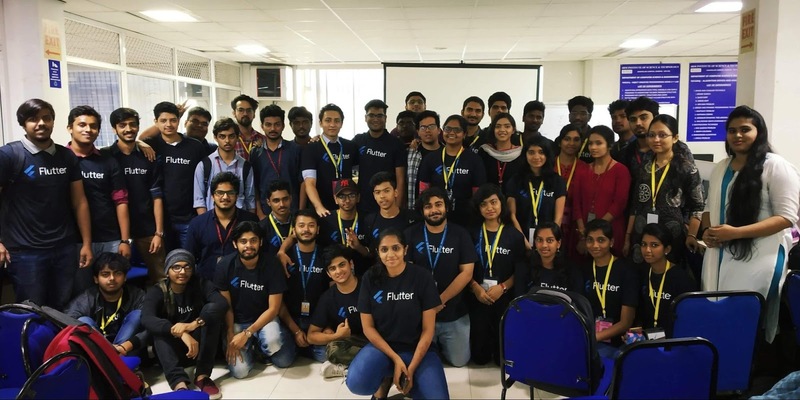 Between meetups in Chennai, India, articles from Port Harcourt, Nigeria, apps from Copenhagen, Denmark and incubation studios in New York City, USA, it's clear that Flutter continues to become a worldwide phenomenon, thanks to you. You can see Flutter in apps that have hundreds of millions of users, and in apps from entrepreneurs who are bringing their first idea to market. It's exciting to see the range of ideas you have, and we hope that we can help you express them with Flutter. Attendees of a Flutter deep dive at Technozzare, SRM University. 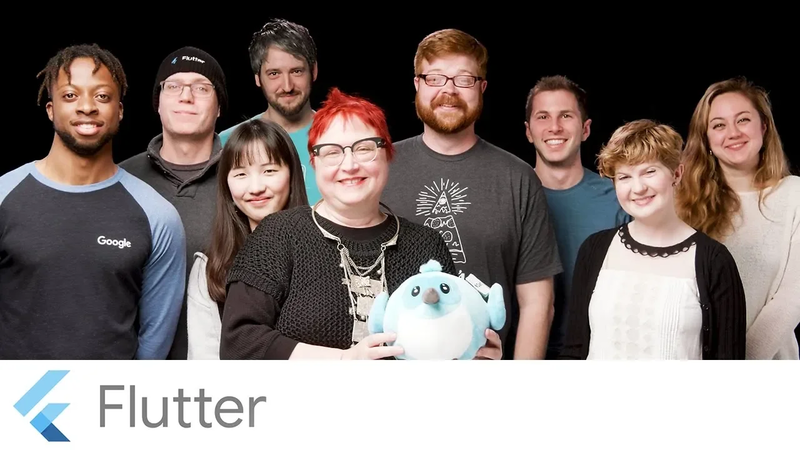 Finally, we've recently launched a YouTube channel exclusively dedicated to Flutter. Be sure to subscribe at flutter.dev/youtube for shows including the Boring Flutter Development Show, Widget of the Week, and Flutter in Focus. You'll also find a new case study from Dream11, a popular Indian fantasy sports site, as well as other Developer Stories. See you there! Before we look forward and discuss updates to Actions on Google for 2019, we wanted to recognize our global developer community for your tremendous work in 2018. We saw more than 4 times the number of projects created with Actions on Google this past year. And some of the most popular Action categories include Games and Trivia, Home Control, Music, Actions for Families, and Education – well done! We hope to carry this enthusiasm forward, and at Mobile World Congress, we're announcing new tools so you can reach and engage with more people around the globe. The Google Assistant's now available in more than 80 countries in nearly 30 languages, and you've been busy making your Actions accessible in many of those locales. One of the most exciting things we've seen in the last couple of years is happening in places where the next billion users are coming online for the first time. In these fast-growing countries like India, Indonesia, Brazil, and Mexico, voice is often the primary way users interact with their devices because it's natural, universal, and the most accessible input method for people who are starting to engage with technology for the first time in their lives. As more countries are coming online, we want to make it so you can reach and engage with these users as they're adopting the Google Assistant into their everyday lives with astonishing ease. There are tens of millions of users on Android Go and KaiOS in over 100 countries. We'll be making your Actions available to Android Go and KaiOS devices in the next few months, so you should start thinking now about how to build for these platforms and users. Without any additional work required, your Actions will work on both operating systems at launch (unless of course, Action requires a screen with touch input). We'll also be launching a simulator so you can test your Actions to see how they look on entry-level Android Go smartphones and KaiOS feature phones. A couple of partners have already built Actions with these new audiences in mind. 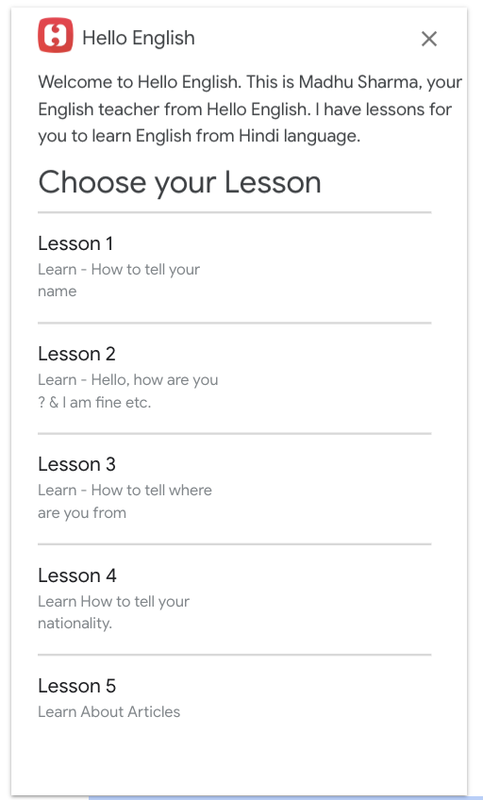 Hello English, for example, created an Action to offer English lessons for users that speak Hindi, to create more opportunities for people through language learning. And Where is My Train? 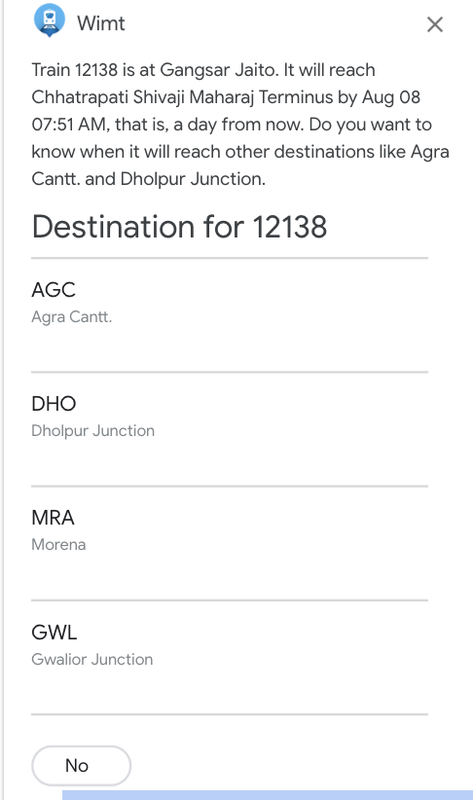 (WIMT) was built for the millions of Indians commuting daily, offering real-time locations and times for trains accessible by voice. Check out our developer docs for KaiOS and Android Go Edition, and start building for the next billion users. New locales: Since last MWC, we've launched Actions on Google support for more languages and locales. You can now build Actions in 19 languages across 28 locales. Wavenet voices: As we've launched Actions on Google in more languages, we've added more text-to-speech voice options for your Actions. And thanks to Wavenet advancements, we're introducing improved, more natural-sounding TTS voices for English (en-US, en-GB and en-AU), Dutch, French (fr-FR and fr-CA), German, Italian, Russian, Portuguese (Brazilian), Japanese, Korean, Polish, Danish and Swedish. You can listen to the upgraded voices here, and they'll start rolling out to your Actions in the coming weeks. Transactions: You can now offer transactional experiences in 22 markets, up from just 1 since last MWC. If you're looking to incorporate transactions in your Actions, check out these tips. Templates for the next billion users: If you're not yet familiar with templates, you can fill in a Google Sheet and publish an Action within minutes. Trivia and Personality Quiz templates are available in English, (en-US and en-UK), French, German, Italian, Japanese, Korean, Portuguese, Spanish, Hindi and Indonesian. All you have to do is upload a Sheet in any of the languages above and your Actions will be live in those languages. We've already talked about how busy the development community was this past year, and we've been hard at work to keep up! If you're looking to reach and engage with millions—even billions more users—now's a good time to start thinking about how your Action can make a difference in people's lives around the globe. Last year, we announced the Google Assistant Investments program with the goal to help pioneering startups bring their ideas to life in the digital assistant ecosystem. Not only have we invested in some really great startups, we've also been working closely with these companies to make their services available to more users. We're excited to be back to announce five new portfolio companies and catch up on the progress some of them have made this past year. With the next batch of investments, we're helping companies explore how digital assistants can improve the hospitality, insurance, fashion and education industries, and we have something for sports fans too. First up, AskPorter. This London-based team was founded to make managing spaces simple, providing every property manager and occupant with a digital personal assistant. AskPorter is an AI-powered property management platform with a digital assistant called Porter. Porter assists and takes care of all aspects of property management such as guiding inspections arranging viewings, troubleshooting maintenance issues and chasing payments. GradeSlam is an on-demand, chat-based, personalized learning and tutoring service available across all subject areas. Sessions are conducted via chat, creating a learning environment that allows students to interact freely and personally with qualified educators. The Montreal-based team is already used by more than 150,000 students, teachers and administrators. Aiva Health puts smart speakers in hospitals and senior communities to reduce response times and improve satisfaction for patients, seniors, and caregivers alike. Aiva understands patient requests and routes them to the most appropriate caregiver so they can respond instantly via their mobile app. The Aiva platform provides centralized IoT management, powering Smart Hospitals and Smart Communities. StatMuse turns the biggest sports stars into your own personal sports commentator. Powered by the personalities of more than 25 sports superstars including Peyton Manning, Jerry Rice and Scott Van Pelt, fans can get scores, stats and recaps for the NBA, NFL, NHL and MLB dating back to 1876. 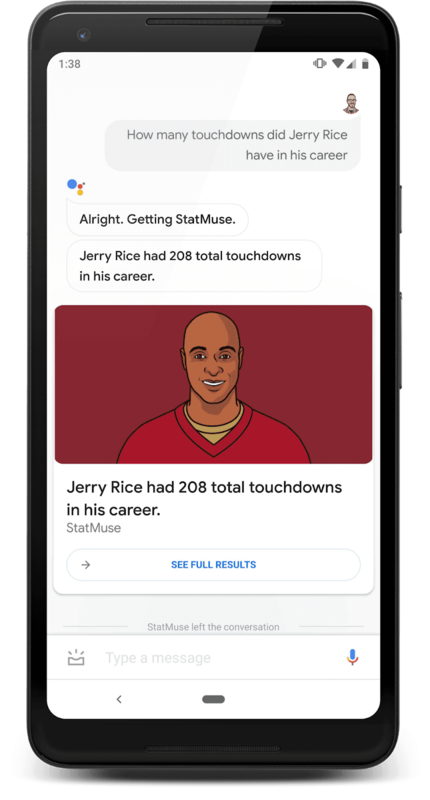 To try it out, just say, "Hey Google, talk to StatMuse." It's been almost a year since we launched the Investments program and we're happy to see how some of these companies are already using voice to broaden the Google Assistant's capabilities. If you're working on new ways for people to use their voice to get things done, or building new hardware devices for digital assistants, we'd like to hear from you. The Latin American startup ecosystem is thriving. Many success stories from the region have served as inspiration for entrepreneurs and investors alike. To build upon this momentum, we believe it is important to continue supporting programs for entrepreneurs that are using technology to solve some of the region's biggest challenges. That's why we are happy to announce Launchpad Accelerator Mexico, a program focused on helping startups throughout Latin America create attractive, scalable, and impactful products and technologies. 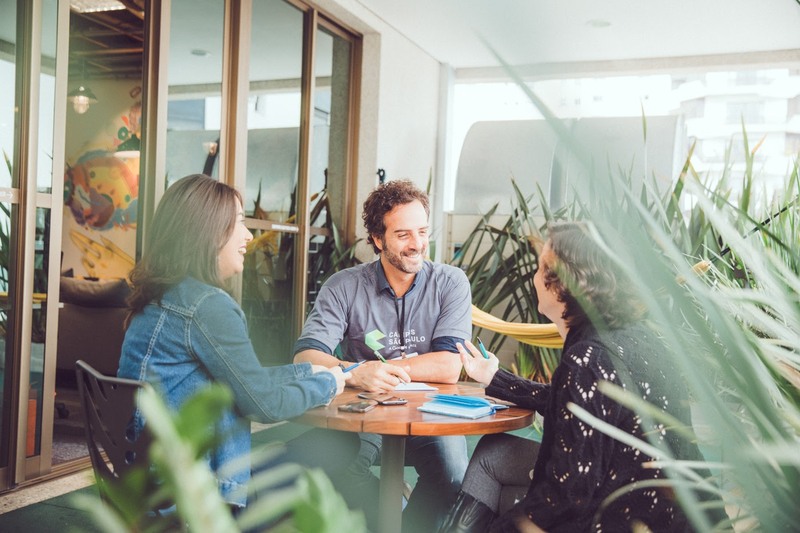 This program has existed in different parts of the world such as Israel, Tel Aviv; Nigeria, Lagos; Brazil, São Paulo; and now comes to Mexico City thanks to our partnership with Centraal, a thriving co-working space. Access to new technologies and technical experts is essential to guarantee startup success. With Google Cloud serving as backbone for today's global startups, Launchpad Accelerator Mexico will help startups overcome technological challenges in Artificial Intelligence, Machine Learning, Android, and web solutions. The inaugural program will last three months and will offer technical support on an initially defined, high impact project. The cohort of entrepreneurs will have access to a group of mentors from Google and other industry experts. Registration for the inaugural class is now open and startups can apply using this form. Registration remains open until March 15. The selected startups will be announced on March 21 and will start working with Google on April 29, 2019. Developers, designers, writers and architects: you built the web. You make it possible for the billions of people online today to do what they do. Have you ever tried to register your preferred domain name, only to find out it's not available? Today, Google Registry is announcing .dev, a brand new top-level domain (TLD) that's dedicated to developers and technology. We hope .dev will be a new home for you to build your communities, learn the latest tech and showcase your projects—all with a perfect domain name. Want to build a website? Both GitHub.dev and grow.dev have you covered. Trying to create more inclusive products? Visit accessibility.dev for digital accessibility solutions. Learn about Slack's helpful tools, libraries, and SDKs at slack.dev. Connect with Women Who Code at women.dev. Who doesn't want to do more with their time? JetBrains.dev offers software solutions that make developers more productive. Want to brush up on your skills (or learn new ones)? Check out Codecademy.dev. Learn how to build apps on the Salesforce platform at crm.dev. Interested in learning how to increase the agility and productivity of your data team? Visit dataops.dev. Want to build & deploy serverless apps on a global cloud network? You can do that with Cloudflare at workers.dev. Get a sneak peek of what's running under the hood of the Niantic Real World Platform at ar.dev. Like our recent launches for .app and .page, this new domain will be secure by default because it requires HTTPS to connect to all .dev websites. This protects people who visit your site against ad malware and tracking injection by internet service providers, and from spying when using open WiFi networks. With every .dev website that's launched, you help move the web to an HTTPS-everywhere future. Starting today at 8:00 a.m. PT and through February 28, .dev domains are available to register as part of our Early Access Program, where you can secure your desired domains for an additional fee. The fee decreases according to a daily schedule. Beginning on February 28, .dev domains will be available at a base annual price through your registrar of choice. To find out pricing from our participating partners, visit get.dev. Google has already started using .dev for some of our own projects, like web.dev and opensource.dev. Visit get.dev to see what companies like Mozilla, Netflix, Glitch, Stripe, JetBrains and more are doing on .dev and get your own domain through one of our registrar partners. We look forward to seeing what you create on .dev! ARCore and Sceneform give developers simple yet powerful tools for creating augmented reality (AR) experiences. In our last update (version 1.6) we focused on making virtual objects appear more realistic within a scene. In version 1.7, we're focusing on creative elements like AR selfies and animation as well as helping you improve the core user experience in your apps. ARCore's new Augmented Faces API (available on the front-facing camera) offers a high quality, 468-point 3D mesh that lets users attach fun effects to their faces. From animated masks, glasses, and virtual hats to skin retouching, the mesh provides coordinates and region specific anchors that make it possible to add these delightful effects. You can get started in Unity or Sceneform by creating an ARCore session with the "front-facing camera" and Augmented Faces "mesh" mode enabled. Note that other AR features such as plane detection aren't currently available when using the front-facing camera. AugmentedFace extends Trackable, so faces are detected and updated just like planes, Augmented Images, and other trackables. // Create ARCore session that support Augmented Faces for use in Sceneform. // Use the front-facing (selfie) camera. Another way version 1.7 expands the AR creative canvas is by letting your objects dance, jump, spin and move around with support for animations in Sceneform. To start an animation, initialize a ModelAnimator (an extension of the existing Android animation support) with animation data from your ModelRenderable. In ARCore version 1.7 we also focused on helping you improve your user experience with a simplified workflow. We've integrated "ARCore Elements" -- a set of common AR UI components that have been validated with user testing -- into the ARCore SDK for Unity. You can use ARCore Elements to insert AR interactive patterns in your apps without having to reinvent the wheel. ARCore Elements also makes it easier to follow Google's recommended AR UX guidelines. We plan to add more to ARCore Elements over time. You can download the ARCore Elements app available in the Google Play Store to learn more. ARCore version 1.7 also includes UX enhancements for the smartphone camera -- specifically, the experience of switching in and out of AR mode. Shared Camera access in the ARCore SDK for Java lets users pause an AR experience, access the camera, and jump back in. This can be particularly helpful if users want to take a picture of the action in your app. More details are available in the Shared Camera developer documentation and Java sample. For AR experiences to capture users' imaginations they need to be both immersive and easily accessible. With tools for adding AR selfies, animation, and UI enhancements, ARCore version 1.7 can help with both these objectives. You can learn more about these new updates on our ARCore developer website. We're always looking for ways to improve user security both on Google and on your applications. That's why we've long invested in Google Sign In, so that users can extend all the security protections of their Google Account to your app. Historically, there has been a critical shortcoming of all single sign in solutions. In the rare case that a user's Google Account falls prey to an attacker, the attacker can also gain and maintain access to your app via Google Sign In. That's why we're super excited to open a new feature of Google Sign In, Cross Account Protection (CAP), to developers. CAP is a simple protocol that enables two apps to send and receive security notifications about a common user. It supports a standardized set of events including: account hijacked, account disabled, when Google terminates all the user's sessions, and when we lock an account to force the user to change their password. We also have a signal if we detect that an account could be causing abuse on your system. CAP is built on several newly created Internet Standards, Risk and Incident Sharing and Coordination (RISC) and Security Events, that we developed with the community at the OpenID Foundation and IETF. This means that you should only have to build one implementation to be able to receive signals from multiple identity providers. Enable the RISC API and create a Service Account on the project/s where you set up Google Sign In. If you have clients set up in different projects for your web, Android and iOS apps, you'll have to repeat this for each project. Build a RISC Receiver. This means opening a REST API on your service where Google will be able to POST security event tokens. When you receive these events, you'll need to validate they come from Google and then act on them. This may mean terminating your user's existing sessions, disabling the account, finding an alternate login mechanism or looking for other suspicious activity with the user's account. Use the Service Account to configure Google's pubsub with the location of your API. You should then start receiving signals, and you can start testing and then roll out this important new protection. If you already use Google Sign In, please get started by checking out our developer docs. If you don't use Google Sign In, CAP is another great reason to do so to improve the security of your users. Developers using Firebase Authentication or Google Cloud Identity for Customers & Partners have CAP configured automatically - there's nothing you need to do. You can also post questions on Stack Overflow with the #SecEvents tag. As modern application development moves away from managing infrastructure and toward a serverless future, we're pleased to announce the general availability of Cloud Firestore, our serverless, NoSQL document database. 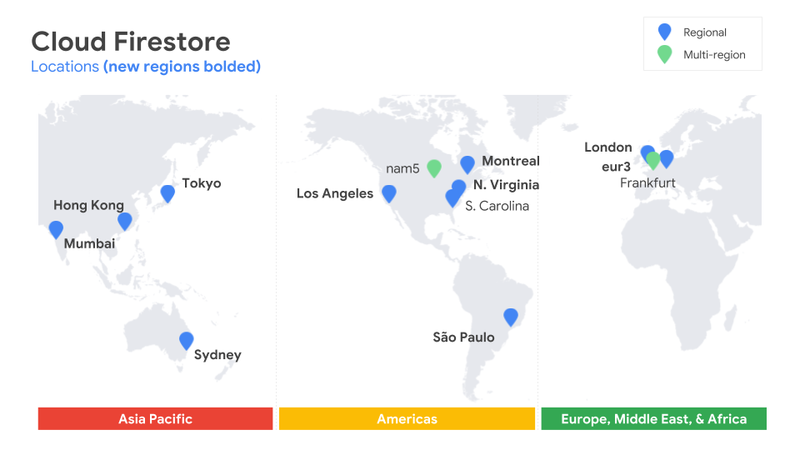 We're also making it available in 10 new locations to complement the existing three, announcing a significant price reduction for regional instances, and enabling integration with Stackdriver for monitoring. Cloud Firestore is a fully managed, cloud-native database that makes it simple to store, sync, and query data for web, mobile, and IoT applications. It focuses on providing a great developer experience and simplifying app development with live synchronization, offline support, and ACID transactions across hundreds of documents and collections. Cloud Firestore is integrated with both Google Cloud Platform (GCP) and Firebase, Google's mobile development platform. 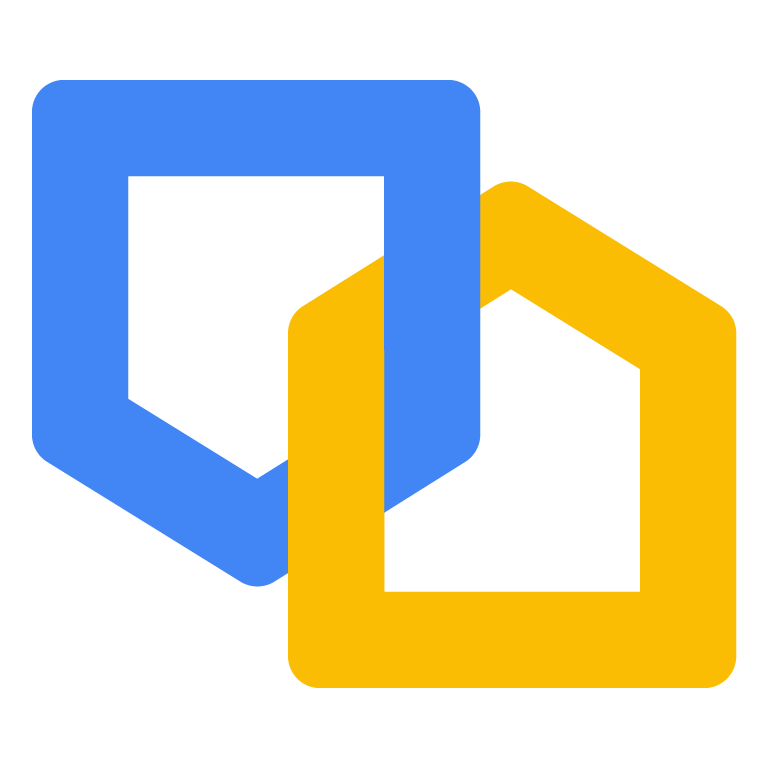 You can learn more about how Cloud Firestore works with Firebase here. With Cloud Firestore, you can build applications that move swiftly into production, thanks to flexible database security rules, real-time capabilities, and a completely hands-off auto-scaling infrastructure. Cloud Firestore does more than just core database tasks. It's designed to be a complete data backend that handles security and authorization, infrastructure, edge data storage, and synchronization. Identity and Access Management (IAM) and Firebase Auth are built in to help make sure your application and its data remain secure. Tight integration with Cloud Functions, Cloud Storage, and Firebase's SDK accelerates and simplifies building end-to-end serverless applications. You can also easily export data into BigQuery for powerful analysis, post-processing of data, and machine learning. Building with Cloud Firestore means your app can seamlessly transition from online to offline and back at the edge of connectivity. This helps lead to simpler code and fewer errors. You can serve rich user experiences and push data updates to more than a million concurrent clients, all without having to set up and maintain infrastructure. Cloud Firestore's strong consistency guarantee helps to minimize application code complexity and reduces bugs. A client-side application can even talk directly to the database, because enterprise-grade security is built right in. Unlike most other NoSQL databases, Cloud Firestore supports modifying up to 500 collections and documents in a single transaction while still automatically scaling to exactly match your workload. New regional instance pricing. This new pricing takes effect on March 3, 2019 for most regional instances, and is as low as 50% of multi-region instance prices. Data in regional instances is replicated across multiple zones within a region. This is optimized for lower cost and lower write latency. We recommend multi-region instances when you want to maximize the availability and durability of your database. SLA now available. You can now take advantage of Cloud Firestore's SLA: 99.999% availability for multi-region instances and 99.99% availability for regional instances. Cloud Firestore is now available in 13 regions. Stackdriver integration (in beta). You can now monitor Cloud Firestore read, write and delete operations in near-real time with Stackdriver. More features coming soon. We're working on adding some of the most requested features to Cloud Firestore from our developer community, such as querying for documents across collections and incrementing database values without needing a transaction. As the next generation of Cloud Datastore, Cloud Firestore is compatible with all Cloud Datastore APIs and client libraries. Existing Cloud Datastore users will be live-upgraded to Cloud Firestore automatically later in 2019. You can learn more about this upgrade here. Cloud Firestore is already changing the way companies build apps in media, IoT, mobility, digital agencies, real estate, and many others. The unifying themes among these workloads include: the need for mobility even when connectivity lapses, scalability for many users, and the ability to move quickly from prototype to production. Here are a few of the stories we've heard from Cloud Firestore users. In the highly competitive world of shared, on-demand personal mobility via cars, bikes, and scooters, the ability to deliver a differentiated user experience, iterate rapidly, and scale are critical. The prize is huge. Skip provides a scooter-sharing system where shipping fast can have a big impact. Mike Wadhera, CTO and Co-founder, says, "Cloud Firestore has enabled our engineering and product teams to ship at the clock-speed of a startup while leveraging Google-scale infrastructure. We're delighted to see continued investment in Firebase and the broader GCP platform." Another Cloud Firestore user, digital consultancy The Nerdery, has to deliver high-quality results in a short period of time, often needing to integrate with existing third-party data sources. They can't build up and tear down complicated, expensive infrastructure for every client app they create. "Cloud Firestore was a great fit for the web and mobile applications we built because it required a solution to keep 40,000-plus users apprised of real-time data updates," says Jansen Price, Principal Software Architect. "The reliability and speed of Cloud Firestore coupled with its real-time capabilities allowed us to deliver a great product for the Google Cloud Next conferences." Regardless of the app, users want the latest information right away, without having to click refresh. The QuintoAndar mobile application connects tenants and landlords in Brazil for easier apartment rentals. "Being able to deliver constantly changing information to our customers allows us to provide a truly engaging experience. Cloud Firestore enables us to do this without additional infrastructure and allows us to focus on the core challenges of our business," says Guilherme Salerno, Engineering Manager at QuintoAndar. Famed broadsheet and media company The Telegraph uses Cloud Firestore so registered users can easily discover and engage with relevant content. The Telegraph wanted to make the user experience better without having to become infrastructure experts in serving and managing data to millions of concurrent connections. "Cloud Firestore allowed us to build a real-time personalized news feed, keeping readers informed with synchronized content state across all of their devices," says Alex Mansfield-Scaddan, Solution Architect. "It allowed The Telegraph engineering teams to focus on improving engagement with our customers, rather than becoming real-time database and infrastructure experts." On the other side of the Atlantic, The New York Times used Cloud Firestore to build a feature in The Times' mobile app to send push notifications updated in real time for the 2018 Winter Olympics. In previous approaches to this feature, scaling had been a challenge. The team needed to track each reader's history of interactions in order to provide tailored content for particular events or sports. Cloud Firestore allowed them to query data dynamically, then send the real-time updates to readers. The team was able to send more targeted content faster. Athlete testing technology company Hawkin Dynamics was an early, pre-beta adopter of Cloud Firestore. Their pressure pads are used by many professional sports teams to measure and track athlete performance. In the fast-paced, high-stakes world of professional sports, athletes can't wait around for devices to connect or results to calculate. They demand instant answers even if the WiFi is temporarily down. 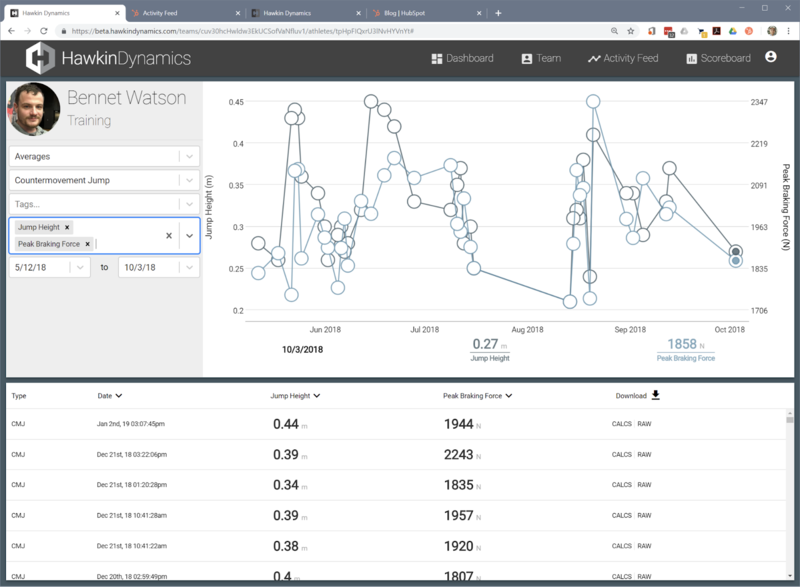 Hawkin Dynamics uses Cloud Firestore to bring real-time data to athletes through their app dashboard, shown below. "Our core mission at Hawkin Dynamics is to help coaches make informed decisions regarding their athletes through the use of actionable data. With real-time updates, our users can get the data they need to adjust an athlete's training on a moment-by-moment basis," says Chris Wales, CTO. "By utilizing the powerful querying ability of Cloud Firestore, we can provide them the insights they need to evaluate the overall efficacy of their programs. The close integrations with Cloud Functions and the other Firebase products have allowed us to constantly improve on our product and stay responsive to our customers' needs. In an industry that is rapidly changing, the flexibility afforded to us by Cloud Firestore in extending our applications has allowed us to stay ahead of the game." We've heard from many of you that Cloud Firestore is helping solve some of your most timely development challenges by simplifying real-time data and data synchronization, eliminating server-side code, and providing flexible yet secure database authentication rules. This reflects the state of the cloud app market, where developers are exploring lots of options to help them build better and faster while also providing modern user experiences. This glance at Stack Overflow questions gives a good picture of some of these trends, where Cloud Firestore is a hot topic among cloud databases. We've seen close to a million Cloud Firestore databases created since its beta launch. The platform is designed to serve databases ranging in size from kilobytes to multiple petabytes of data. Even a single application running on Cloud Firestore is delivering more than 1 million real-time updates per second to users. These apps are just the beginning. To learn more about serverless application development, take a look through the archive of the recent application development digital conference. We'd love to hear from you, and we can't wait to see what you build next. Try Cloud Firestore today for your apps.